The next production from National Theatre Live to be screened at Cinema Nouveau is Charlotte Brontë’s classic novel Jane Eyre. 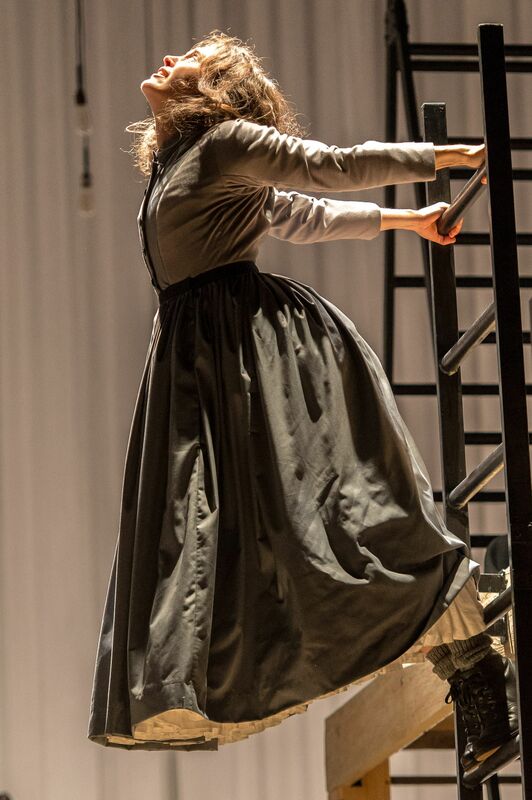 Filmed at the National Theatre in London, Jane Eyre releases on Saturday, 23 January 2016 at Cinema Nouveau theatres countrywide, for limited screenings. 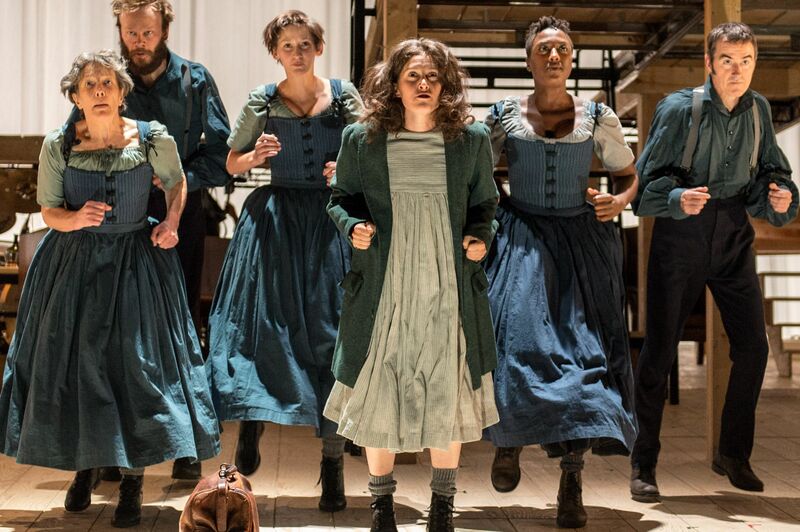 This acclaimed re-imagining of Brontë’s masterpiece was first staged by Bristol Old Vic last year. Director Sally Cookson’s celebrated production then transferred to the National Theatre, and can now be seen at cinemas across the world, including here in South Africa. From her beginnings as a destitute orphan, Jane Eyre’s spirited heroine faces life’s obstacles head-on, surviving poverty, injustice and the discovery of bitter betrayal, before taking the ultimate decision to follow her heart. Almost 170 years on, Charlotte Brontë’s story of the trail-blazing Jane is as inspiring as ever. This bold and dynamic production uncovers one woman’s fight for freedom and fulfilment on her own terms. The cast featured in this production is Benji Bower, Will Bower, Elly Condron, Craig Edwards, Laura Elphinstone, Felix Hayes, Richard Hurst, Phil King, Melanie Marshall, Simone Saunders, Jools Scott, Maggie Tagney, Stevie Thompson, Joannah Tincey, Ellena Vincent and Madeleine Worrall as Jane. The production has set designs by Michael Vale, costumes by Katie Sykes, lighting by Aideen Malone, music by Benji Bower, sound by Mike Beer, movement by Dan Canham and dramaturgy by Mike Akers. JANE EYRE releases on South African screens from Saturday, 23 January 2016, for four screenings: on 23, 27 and 28 January at 19:30 and on 24 January at 14:30 – at Cinema Nouveau theatres in Johannesburg, Pretoria, Durban and Cape Town. The running time of this production is 3hrs and 20mins, including an interval. For booking information on JANE EYRE, download the Ster-Kinekor App on any smart phone for updates, news and to make a booking. Visit www.cinemanouveau.co.za or sterkinekor.mobi. Follow us on Twitter @nouveaubuzz and on Facebook at Cinema Nouveau. For queries, contact Ticketline on 0861 Movies (668 437). The discounts and benefits for cardholders of SK Club, Discovery Vitality and Edgars Club loyalty programmes apply for all live theatre productions. Special prices for school and group bookings are also available on request. National Theatre Live enables audiences to experience the best of British theatre throughout the year, as the NT brings cameras into the auditorium to record and broadcast performances from stage to screen. Almost four million people have experienced an NT Live broadcast via satellite, both live and time-delayed, in more than 2 000 venues in over 40 different countries around the world, including South Africa, since NT Live’s first season, which began in June 2009 with the acclaimed production of Phédre starring Helen Mirren. NT Live events are distributed outside the U.K. through New York-based BY Experience, the pioneer of global live “alternative content” digital cinema events.